Nicely cared for raised bi-level on a quiet crescent in Meadowood. House has a total of 4 bedrooms and 2 full bathrooms. Newer kitchen in 2006 with new cabinets, breakfast counter/prep area, high end appliances, pullout faucet and nice peninsula overlooking dining area. A very open and airy feel to the main floor. New flooring throughout the main floor, new tri-pane windows in 2006. Nice sunroom off the back adding great living space for 3 seasons of the year. 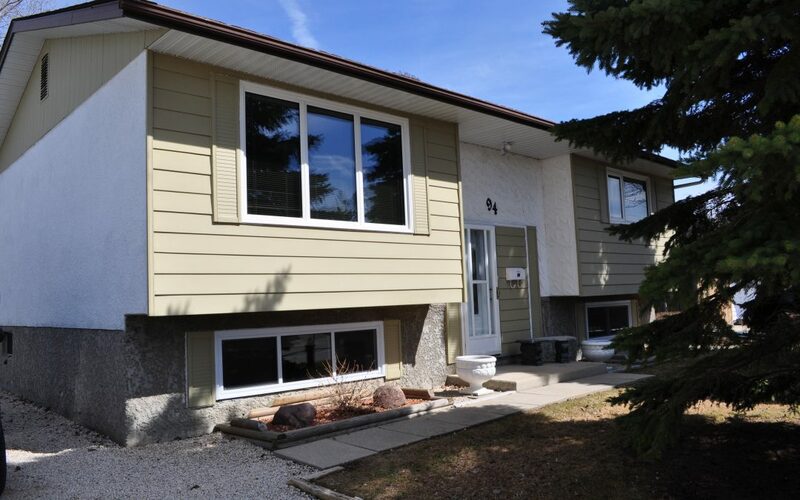 Basement holds 2 more bedrooms, a fully renovated bath and recroom. Basement is high and allows lots of natural light in this style of home. Comes with central air and central vac. Take a look at the backyard photos. A large backyard (55×120) fully fenced and landscaped with lots of perennials, a fire pit area and newer deck. Both sheds have power and the gate opens to allow for extra parking or a boat. Come see this well kept bi-level on a quiet crescent.